“People who search for a business’ site begin reading content and viewing videos from their desktop computers at work – and then look for the same business on their smartphones during lunch [with a responsive website] – are able to continue their research into products and services uninterrupted,” explains Jody Resnick, CEO of Trighton Interactive. What is a “responsive web design”? According to Joshua Steimle (www.forbes.com) a Responsive Web Design is one that adjusts gracefully to fit on desktop, tablet, and smartphone browsers. Anna Orlova (2014) also stated that A responsive website is one that remains completely agnostic to whatever device a person is using to access it – smartphone, tablet or computer – and that renders data perfectly no matter what size screen. In other words, it adjusts or “responds” automatically to fit any desktop, tablet or smartphone browser. 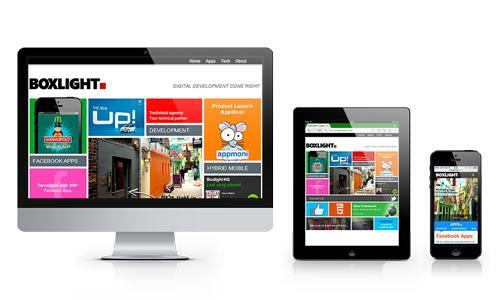 Why you do need a responsive website? First of all, let’s take a look at what percentage of your site visitors uses mobile devices. To do this, you need to use a tool such as Google Analytics. When using Google Analytics (another tool’s procedure may be different) you need to select the past 6-12 months and then go to Audience > Mobile > Overview. Do you see a small pie chart button on the lower right? Click on it and there it is: the percentage of mobile/tablet visitors – which is probably the same number that left your site for a competitor’s mobile-ready one, due to a frustrating user experience. Recent market research has shown that these figures are predicted to grow, as more experienced users’ expectations rise and their tolerance of unresponsive websites diminishes. Considering these figures, it’s obviously important to provide a mobile-friendly experience to your customers, otherwise they will quickly flee your website and go to your competitor’s if it’s easier to use from a smart device. Companies running responsive sites can take advantage of a unified approach to content management, e.g., they have only one site to keep updated. This allows their marketing team to avoid tiresome, error-prone development and content management for multiple sites. And it’s the same situation in regards to strategy deployment and analytics: a responsive website guarantees there is only one strategy to develop and deploy, and just one single set of analytics to examine. Responsive websites come up higher in search results and thus are naturally easier for potential customers to find than traditional or mobile-only sites. The Google team itself recommends responsive web design since a single URL for both desktop and mobile sites apparently makes it easier for Google to discover content and assign the proper indexing algorithms to it. The Internet is gradually turning into a platform of services. The future holds a lot of opportunities for companies to integrate back-end services (like Facebook, Twitter, Amazon Web Services, etc. ), websites and applications into a unified data unit without custom coding needed for each device or screen size – and responsive websites are the just first step forward. There’s no getting around it: upgrade costs matter. But this depends on the type of site you have: if it’s a simple brochure-style site, switching to a responsive design may cost you just few hundred dollars; but modifying a larger, content-heavy one may quickly become quite a budget-eater. But think about it: considering those already-mentioned five billion people that are slated to be using mobile phones by 2017, paying a little more for making your site responsive may be a really, really small price to pay for reaching an audience of this unprecedented magnitude.